British Airways Avios are prized for the value they offer on short-haul flights, while most frequent flyers ignore them entirely on longer routes. Today, TPG Contributor Richard Kerr explains why we should rethink that strategy before the upcoming devaluation. There are only a few weeks left until British Airways devalues its award chart. The changes will hit long and medium-haul routes the hardest (especially in premium classes), with the cost of some redemptions increasing by 50% or more. Add in the fact that fuel surcharges on these routes can be quite hefty, and most people will be running for the hills when it comes to using Avios on longer flights. However, there’s still time left to book before those changes go into effect, so today I’ll show you how to get value out of your Avios on long-haul routes prior to the devaluation on April 28th. 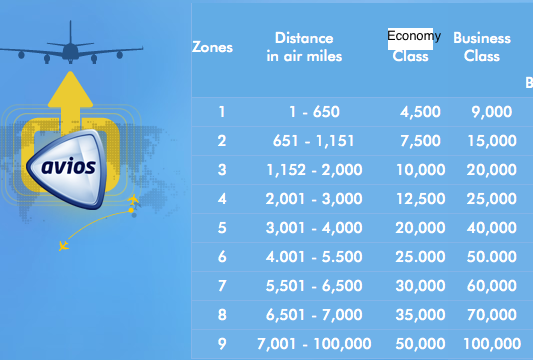 For the purposes of this post, I’ll count long-haul as any flight of 4,000 miles or more (zones 6-9 of the current British Airways Avios award chart), plus any transatlantic routes. The current Avios award chart is good until April 28. I began my research by looking at the 50 longest airline routes departing the U.S. or Canada, and pricing out all the ones operated by Oneworld carriers. The results clearly indicate which airlines to avoid when using Avios on long-haul service. The table below shows each route along with the redemption cost in Avios, the expected taxes, fees and surcharges, and the operating carrier. All costs displayed for one-way, economy flights. Logical conclusions would be to avoid the higher charges on Qantas and Qatar flights, and to check American flights individually. Let’s now look at Oneworld partners that traditionally don’t pass on fuel surcharges on Avios bookings. Air Berlin flies some unique routes that have as many as 4 business class seats open during peak transatlantic travel season in May. Fort Meyers to Dusseldorf always seems to have 2 seats available, and not many people outside of South Florida are aware of the route’s existence. It’s a great option to get you over the Atlantic. Some of the routes operate on irregular or infrequent schedules. I find the Oneworld interactive route map to be most helpful, as there is a monthly calendar view that shows you when a direct flight is operating between two cities. With Cuba opening up, a $69 Varadero to Germany hop would be pretty cool. LAN and TAM long-haul space out of their respective hubs of Santiago and São Paulo is tough to come by. I spent a long time searching through the available schedule on BA.com and rarely found available flights. Flights out of Lima seem to have greater award availability. One plus for space out of São Paulo is that fuel surcharges on award tickets are illegal when departing Brazil. LAN is flying its new 787 Dreamliners on many long-haul routes, including the new 787-9 from JFK to Santiago this summer, and could make for a comfortable ride with low fuel surcharges. However, I couldn’t find availability for GRU-MCO, LIM-MAD, or SCL-MAD. You can’t use BA.com to find Aer Lingus space. Instead, you have to use Expert Flyer, the United search engine, or the Qantas search tool. There’s no guarantee that British Airways will see the same space, but it’s a good starting point. Perhaps with British Airways taking over Aer Lingus, you’ll finally be able to book that space online and avoid the cranky $25 phone ticketing fee. One way taxes and fees come to $203 now to fly Iberia transatlantic using BA. Now consider the same flight booked through Iberia. The lowest Blue Class fare was unavailable for that date, so you would have to spend more Avios. However, even for a full economy fare you end up spending 5,500 more Avios while saving roughly $100, effectively redeeming those extra points at around 1.8 cents apiece. The same flight using Iberia’s own program costs more in Avios, but cuts the fees in half. Carriers are barred from imposing fuel surcharges for flights departing from Brazil, so you don’t have to be as picky when searching for availability. Consider this flight from São Paulo to London on British Airways for just 30,000 Avios and $37! Only $37 in taxes and fees to fly São Paulo to London Heathrow on British Airways. Flying American transatlantic can be just as bad as flying British Airways. It will only cost you $5 in taxes and fees to fly from Miami to Rio. 2016 Olympics, anyone? Only $5 in taxes and fees to fly JFK-LAX-HNL. This strategy doesn’t only apply to U.S. domestic flights; you could also potentially get some long-haul flights within Russia on Oneworld member S7 Airlines. The lists and examples above are by no means an exhaustive display of all options to fly long-haul using Avios and avoid those pesky fuel surcharges. Writing this post made me reconsider whether the Avios program deserves its poor reputation for long-haul flights. There are clearly plenty of options available that allow you to fly round-trip for under $150. In general, to avoid high fuel surcharges when using Avios to fly long-haul, avoid British Airways, Finnair, Japan Airlines, Iberia (booked through British Airways), Malaysian, Qantas, Qatar, Sri Lankan and Royal Jordanian. While short-haul flights remain the best use of Avios, there are still some great uses for them on longer flights. If you have your eyes on a long-haul redemption, I recommend booking prior to April 28, when the number of Avios required for these flights will increase. Which other long-haul routes do you fly using British Airways Avios?